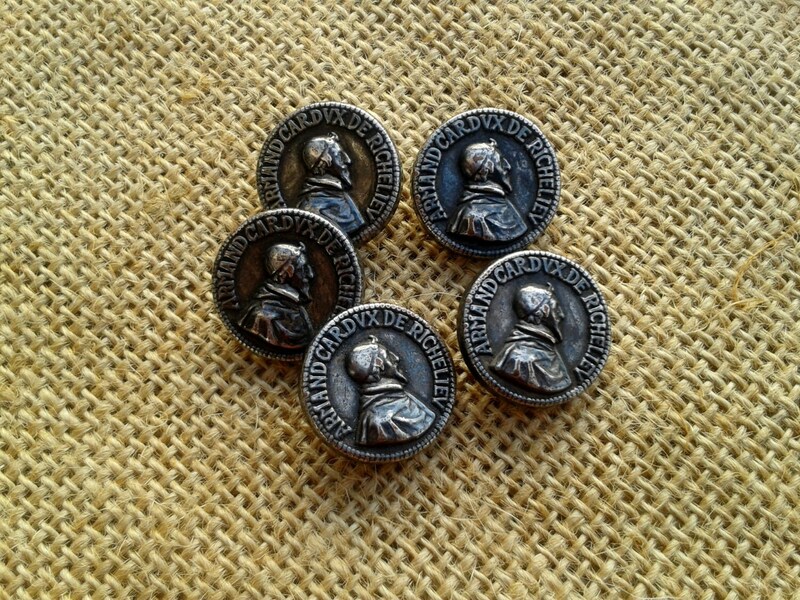 French Duc de Richelieu Profile Buttons . Set of 5 pieces. 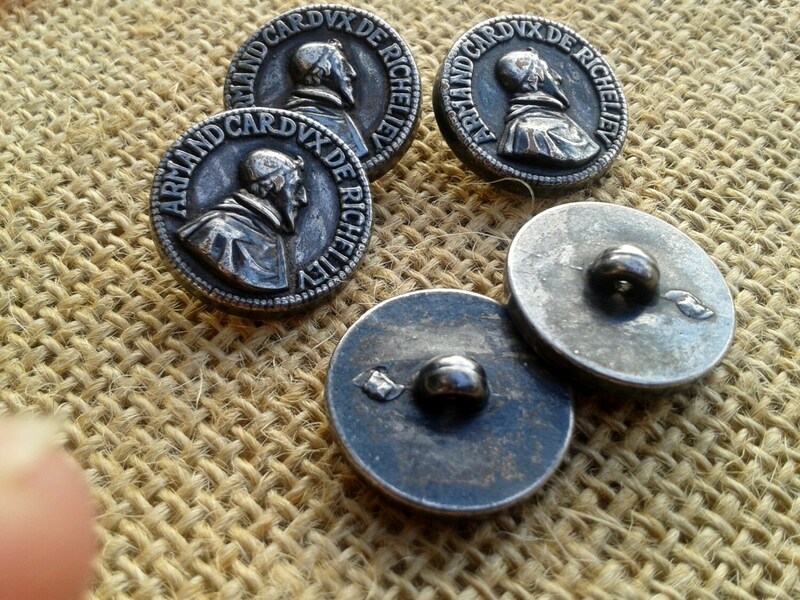 Black silver metallic Buttons. 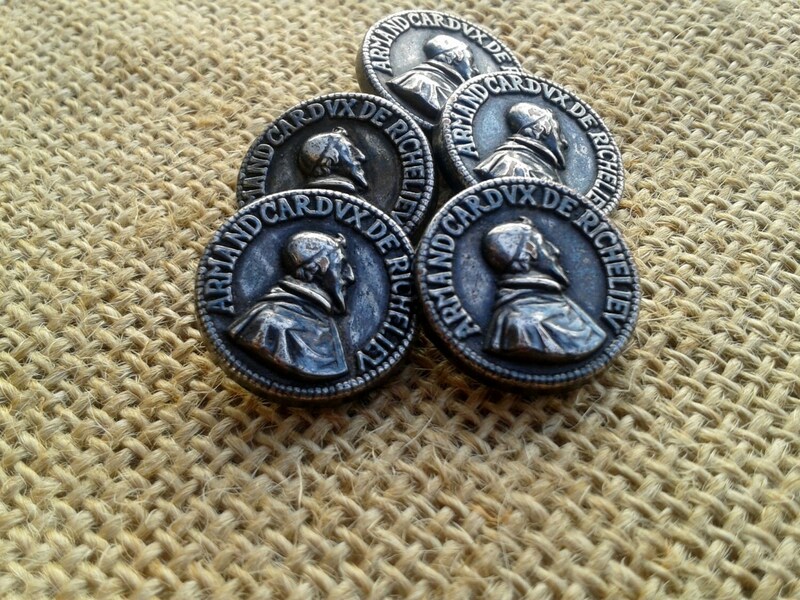 Duc de Richelieu real name was Armand Jean du Plessis de Richelieu, cardinal-duc de Richelieu et duc de Fronsac, (1585 - 1642) Paris . He was the most important minister of the king Louis XIII. 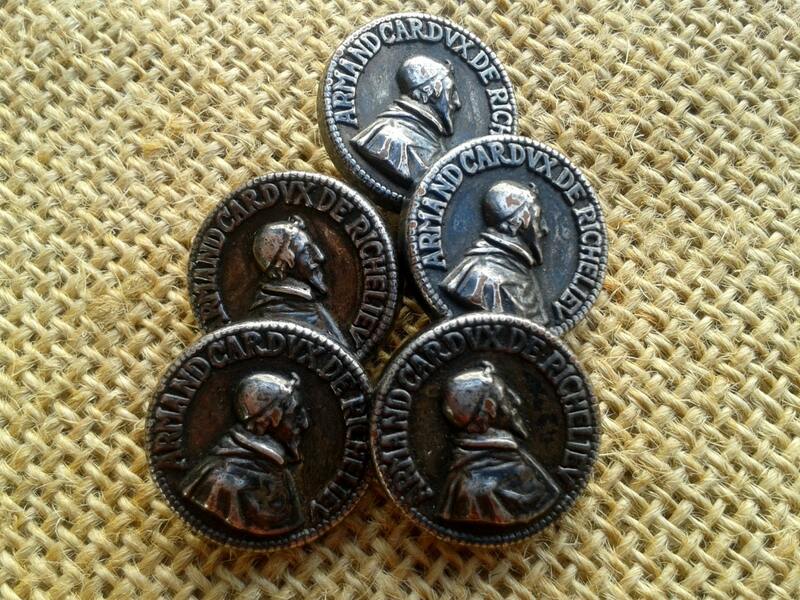 Vintage 80's fashion buttons. These are not antique collectibles. Eye on the back side. 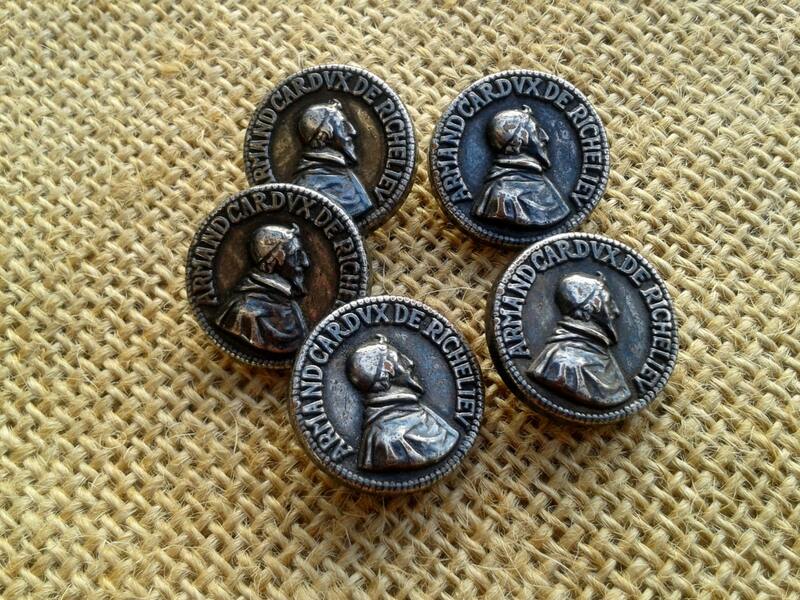 Very Unique and very French buttons !